Halloween is a really fun time to visit Savannah. Frequently referred to as one of America’s most haunted cities, the people of Savannah tend to pull out all the stops when it comes to Halloween festivities! There are a wide range of things to do – from Halloween themed bar crawls, Haunted Houses, Trick or Treating through Savannah’s historic district – and of course, our famous Ghost Tours. We’ve rounded up a list of some of the best Halloween goings on this year, so don’t forget to pack your costume! Savannah is famous for it’s Ghost Tours. Being one of the south’s oldest cities, there’s history everywhere, and not all of it is as beautiful as the city itself. What better way to prepare for Halloween than checking out some of Savannah’s most haunted sites and having a few drinks along the way? There are a few different options for Haunted Pub Crawls, but one of our favorites is the Creepy Crawl Haunted Pub Tour, it fills up fast this time of year so make sure to book ahead! Take a Tour in a Hearse! Ever wanted to ride in a hearse, but not be dead? In Savannah, groups of the living travel in hearses all over town on a daily basis, and you can too! Hearse Ghost Tours in Savannah has a fleet of specially modified hearses that run tours of all the most haunted spots in America’s “Most Haunted City”. If you’re vacationing in Savannah around Halloween, don’t pass up the chance to take a hearse ride and get in the “spirit” of the holiday! 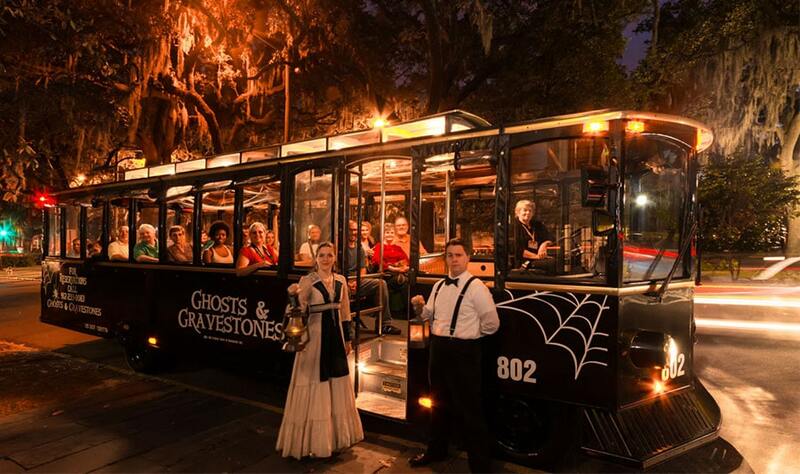 Hop aboard The Trolly of the Doomed for this classic Savannah ghost tour. Welcome to guests over 6 years old, the Ghosts and Gravestones Tour takes you all around Savannah’s historic district and make stops at our most Haunted sites. The only tour that gives you late night access to some of our most famed houses and cemeteries, it’s not for the easily spooked. Again, because it’s Halloween season, be sure to book the tour in advance- the spots go quickly! Use code GGFALL18 for 25% off the Frightseeing Tour (valid October 1-26, 2018)! 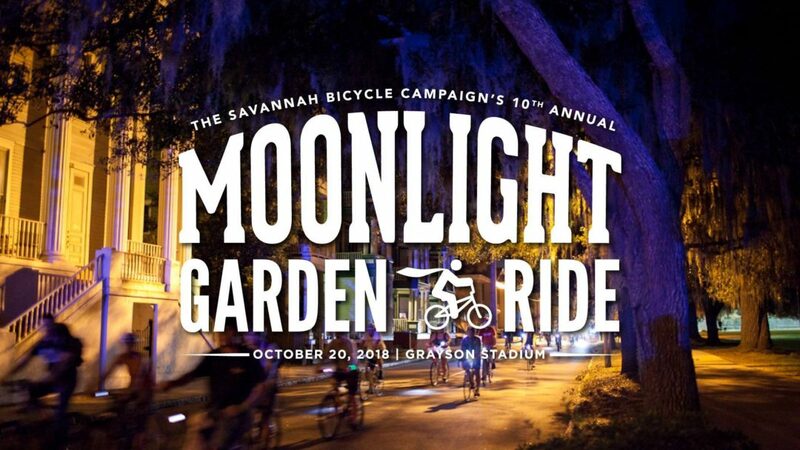 Savannah’s favorite family-friendly bicycling event returns to Historic Grayson Stadium, 1401 East Victory Dr.
A casually-paced, police-escorted ride travels through Savannah’s most beautiful neighborhoods, then returns to Grayson Stadium for a concert, food and beverages, and fun. All proceeds benefit the non-profit Savannah Bicycle Campaign. Join other cyclists and see Savannah in an unforgettable way on the Midnight Garden Ride! If you aren’t into a full blown night of Pub Crawling but still want to have a little Halloween Fun, head over to Moon River! 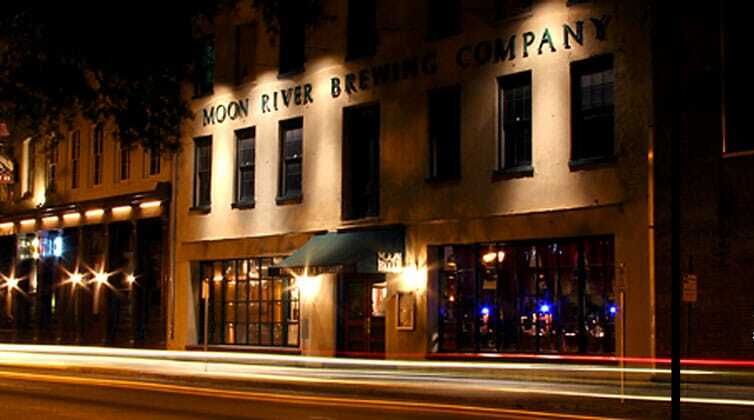 Moon River Brewing Company is located in one of Savannah’s most notoriously haunted buildings. Customers and staff have reported an unsettling amount of paranormal activity going on within. This place is so haunted, that it drew the attention of Zak Bagans, who brought his team and filmed an episode of the Travel Channel’s Ghost Adventures here in 2009! Built in 1821, the building housed Savannah’s first hotel, was the site of Savannah’s cotton exchange and has a very dark and violent history. It closed it’s doors in 1864 just before General Sherman made it to Savannah on his march to the sea during the Civil War. The building was out of commission for the better part of the century, being used as coal and lumber storage but sat mostly empty until Moon River Brewing Company opened in 1999. Now, Moon River Brewing Company is a favorite of Savannah’s natives and tourists. Pouring some of the best pints Savannah has to offer and attracting ghost and paranormal activity enthusiasts from all over the country, it only makes sense that they throw a pretty great Halloween Party. Head over to Moon River Brewing Company on Saturday, October 27th around 9pm for their annual Halloween party for drinks, music, a costume contest at 11pm, and maybe even an encounter with the other side! In it’s 10th year, The Bay Street Theatre is proud to present the live stage musical of Richard O’Brien’s cult classic The Rocky Horror Show! This show contains adult themes. All shows are 18+ (except Oct 28). Props are strictly prohibited. The Alee Terror Plantation is a Haunted House owned and operated by Shriner’s of Savannah, GA.
Open every weekend! October 5th – 31st! 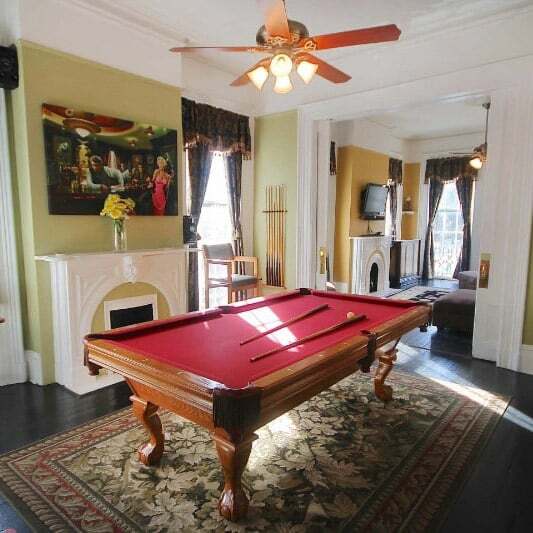 Circa 1900, this elegant lower level, 3 bedroom, 3 bath Savannah vacation rental is located just 4 blocks from Forsyth Park on a beautiful tree-lined stretch of East Waldburg Street. 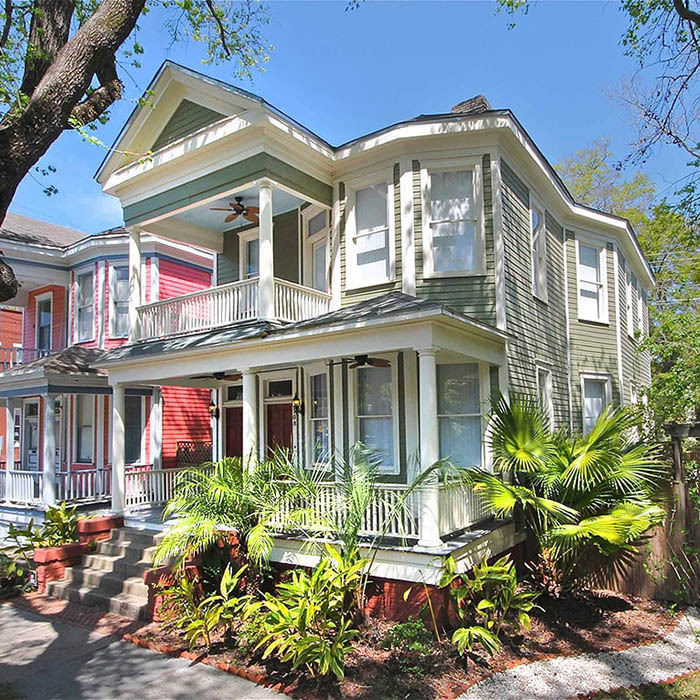 On the corner of Oglethorpe Avenue and Abercorn Street, guests are within a stones throw of all that Savannah has to offer!